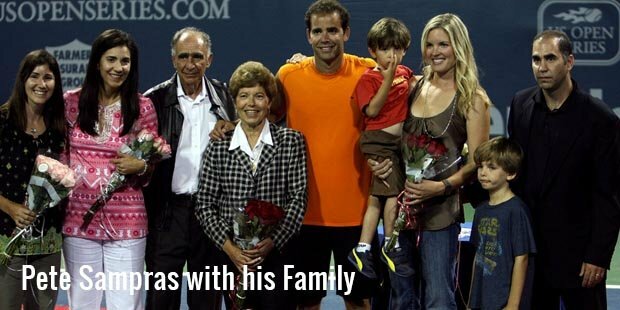 Pete Sampras was born on August 12, 1971 at Potomac, Maryland. His tennis journey began at the age of 3, when he found an old tennis racquet at the basement of his house. He used that racquet to hit balls against the walls for hours together. 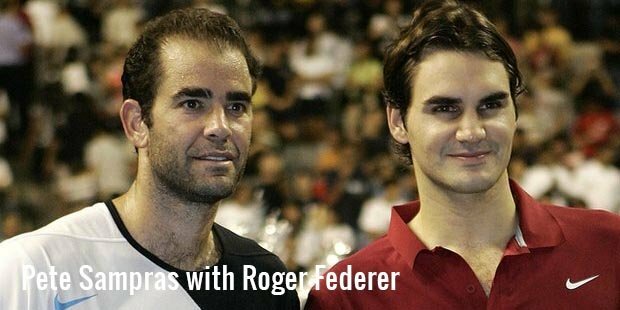 His first coach was Peter Fischer who coached Sampras till the age of 18.Sampras became a professional at the age of 16. He started the year 1988, ranked World No.893, but ended the year as World No.97. The next year he improved his game to beat many top 50 players but ended up only improving to No.61 in the world. His first Grand Slam singles victory came at the 1989 French Open. He did the unthinkable at the U.S. Open in 1989 when he beat 5th seed Mats Wilander in the second round. Next year he won his first professional title at the Ebel U.S. Pro Indoor in which he defeated his future rival Andre Agassi.At the 1990 U.S. Open, he won his first Grand Slam title by beating Agassi in straight sets to become the youngest U.S. Open champion at the age of 19 years and 28 days. As a result of such impressive performances, he ended 1990 ranked as World No.5. In 1991, Sampras was able to win the first of his five year ending Tennis Master Cup titles. In 1992, he was runner up at the U.S.Open and also part of the Davis Cup winning U.S. team. In April 1993, Sampras became World No.1 for the first time. He won the Wimbledon and U.S. Open title that year to justify his ranking. In 1994, Sampras won the Australian Open for the first time in his dream career. He went on win the U.S. Open title in 1995 and 1996. In 1997 he won the Australian Open for the second time in his career.He ended 1997 by being undefeated in 8 singles finals and winning both the Grand Slam Cup, ATP Tour World Championships. He had earned nearly $6,500,000 in prize money that year. 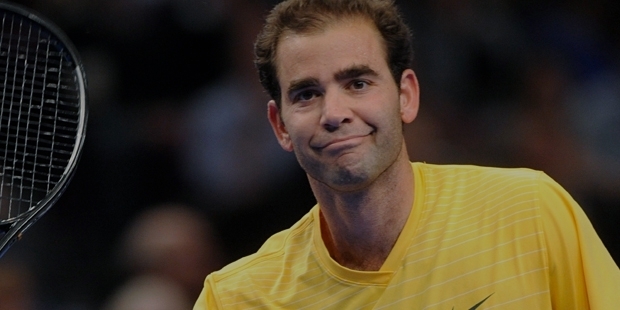 In 1998, Sampras finished for the sixth time as the year ending World No.1 player. His greatest achievements are the seven Wimbledon titles he won between 1993 and 2000. He was so dominant on the grass courts at Wimbledon, that there was virtually no challenger to him during those years. He went on to win his 5th U.S. Open title in 2002 after which he retired. Pete Sampras won a total of 64 singles titles on the professional tour including 14 Grand Slams and 5 Tennis Master Cup titles. He was ranked World No.1 for a total of 286 weeks. Over his career, he has won 762 matches and lost 222matches which puts his winning average at 77.43%. He has won more than $43 million in prize money and is 4th on the all time list.He was named the ITF World Champion and ATP Player of the Year continuously from 1993 to 1998. He was inducted into the Tennis Hall of Fame in 2007. He was never able to win the French Open, but he is still considered as one of the greatest tennis players of the 20th century.